Have your papers been returned with circles around the semi-colons? Have you ever used a semi-colon because you couldn’t decide what punctuation to use? Is your motto, “If in doubt, use a semi-colon”? Semi-colons are arguably the most misused punctuation in writing; they can be quite confusing. Notice that semi-colon I just used? It is separating two independent clauses, or complete sentences. Semi-colons are used primarily to connect independent clauses and to separate items in a list. To understand how to use with independent clauses, let’s review what an independent clause is. Now that you understand clauses, lets look at the two types of clauses: dependent and independent. The ball broke the window. Dependent clauses cannot stand alone as a sentence. They are dependent on other words to complete a sentence. It would be incorrect to separate the two clauses with a semi-colon. Because the window is open, the room feels cold. I’d love to go to dinner, although I’m not dressed appropriately. When you fix the tire, we’ll ride our bikes around the block. Semi-colons are used to separate two independent clauses when the ideas of the two clauses are closely related. Education is an elusive word; it often means different things to different people. Turn the lights out when you leave; we’re wasting too much energy. This photograph is not at all realistic; it uses dreamlike images to convey its message. In the above examples, the second independent clause offers more information, closely relating the two. This photograph is not at all realistic, it uses dreamlike images to convey its message. You cannot separate two independent clauses with a comma, or you would create a comma splice, which is incorrect punctuation. However, you could use a period and create two sentences. This would create a longer pause than a semi-colon. This photograph is not at all realistic. It uses dreamlike images to convey its message. Most often, commas are used to separate items in a series. Sometimes though, the items themselves contain commas, so using a semi-colon to separate the items makes the sentence clearer and easier to read. I have been to Montana, Wyoming, and Oregon in the North; Texas, Arkansas, and Mississippi in the South; and New York, Connecticut, and Maine in the North East. The present officers are Hazel Duff, president; Jason Rich, secretary; and, Tom Sales, treasurer. Using semi-colons to separate the items above prevents confusion that might come from an abundance of commas. Take care not to use a semi-colon too often. They can become distracting if overused, and an essay with too many semi-colons can become tedious and choppy to read. A semicolon belongs in each of the following sentences. Determine where the semicolon belongs. Then select the word that comes just before the semicolon. 1. It is raining outside I will bring my umbrella with me. 2. There is a lot of financial aid around you just have to know where to look for it. 3. It’s such a beautiful day I will walk in Memorial Park. 4. We will play tennis tomorrow then we will go out for dinner. 5. She had very high grades in high school she applied to Harvard University. Ready. . .Set. . . WRITE! Timed writing assignments often strike fear in the heart of any beginning writer. Writing is often hard enough without the added stress of writing an entire essay in a specified length of time. But with careful planning and practice, you’ll be prepared for any prompt the teacher might throw at you. Taking a timed written exam, or a timed essay, measures your ability to not only understand and respond to a given prompt, but also shows you can compose an essay without outside assistance. 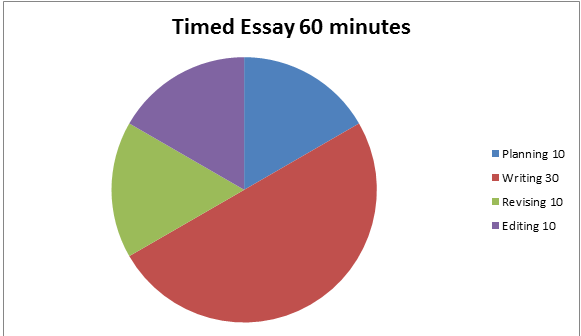 Most often, your instructor will give you a prompt for composing your timed essays. It might ask you to respond to another essay you are to read, or it might ask you to thoroughly answer a posed question. In either case, understanding what the prompt is asking you to do will set you on the right course for a successful essay. Thoroughly read the prompt several times, underlining key verbs. The verbs are the key to unlocking the mystery of what you are to do. If the prompt is asking you to “summarize,” this is a different writing task than if it were asking you to “analyze” (see this post for more info on these types of essays). Failure to respond correctly to the prompt question is the most common reason for a poor timed essay. Yes, even a timed essay must have a thesis statement. The thesis statement will usually be the answer posed by the prompt question. Unless otherwise instructed, the thesis statement should be placed in the introductory paragraph, serving as an organizing structure for the entire essay. Spend some time on perfecting your thesis; a weak thesis will result in a weak paper. Once you have a strong thesis in place, you’ll be in a good position to begin building your essay to support your main point. Be time efficient as you organize the body of your paper; too much time is wasted veering off topic. 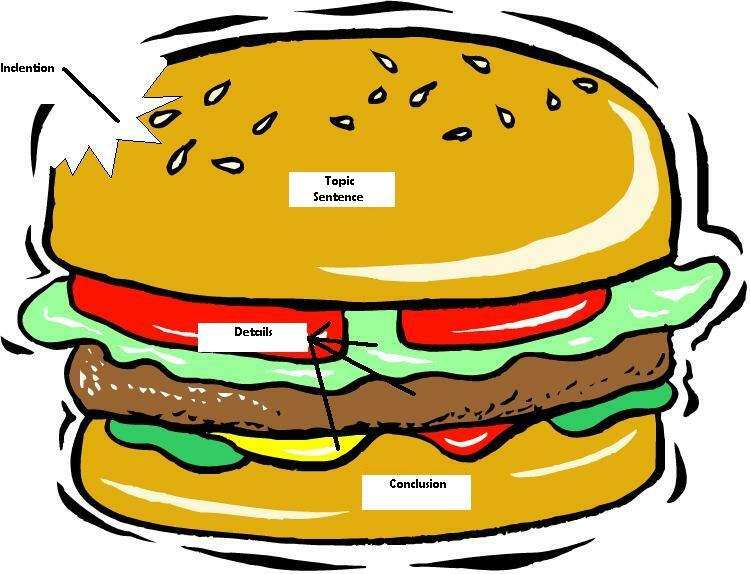 To stay on track, build the body of your essay with topic sentences that directly relate to your thesis. To make sure you are on topic, ask yourself as you write if 1) you are responding to the prompt, and 2) you are always relating back to the thesis. Take a few minutes to conclude your essay. Even a short conclusion is better than none. Avoid restating what you’ve already said, but add reinforcement or something new. You know your writing style better than anyone. Adjust your time accordingly: if you are confident you are proficient in spelling, grammar and punctuation, you may need little time in the final editing stage. Spend this time planning or writing. If you write slowly and methodically, you may need less time in the revision stage and more time writing. One stage most instructors will advise you NOT to shortchange is the planning stage. Careful outlining will not only help you as you compose your essay, but will also save you time in the writing stage by giving you something to refer to if you get stuck. The outline will also help you stay on task by reminding you of the prompt question. If the pressure of the timed essay is stressful for you, PRACTICE! Find some sample prompts online, set a timer, and try to write within the designated time your instructor will give you. Stress – in any situation – is reduced if we prepare ourselves and know what is coming. It’s the unknown that causes stress, and the more we are stressed, the more likely our brain won’t fire on all cylinders. Make sure all of your questions are answered ahead of time (formatting, bathroom breaks, etc.) and consider even using earplugs to avoid the distraction of 20 other clicking keyboards. A paragraph is a group of related sentences on a specific topic. The paragraph you are reading right now is the introductory paragraph to an essay explaining the basic rules of paragraph structure. Each paragraph following after this will also relate to the main essay topic of paragraph structure, but each paragraph will discuss its own topic related to paragraph structure, such as topic sentences, body, conclusions, and development. Just as an essay must be focused on one main idea or topic, each individual paragraph will have one topic unto itself. Each paragraph should have its own structure and purpose. Those individual paragraphs work as building blocks to your essay, each focused on one topic relating to the main topic – or thesis – of the essay. The main question regarding paragraphs is usually, how do I know when to start a new one? The rule is, when you need to discuss a new idea or are transitioning to new information, you’ll need a new paragraph. Just as your essay should only cover one main theme or thesis, each paragraph should only cover one idea. Just like an essay will include an intro, body, and conclusion, a single paragraph will also have its own intro, body and conclusion. The intro or first sentence of a paragraph is referred to as the topic sentence, though depending on the purpose of the essay, the topic sentences can be placed anywhere in the paragraph. For our purposes, we’ll suggest to place them as the first sentence. The topic sentence communicates the controlling idea of the paragraph. This topic sentence works to focus the information, making it easier to know what should go in and what should be left out, and perhaps go in another paragraph. The body of a paragraph will offer specific details of the controlling idea, which will work to demonstrate, illustrate, describe, or analyze some aspect of the paragraph’s topic. In a research essay, you might also integrate sources into each paragraph. A well-written paragraph should be focused specifically on the paragraph’s topic, and offer more information and details to adequately develop the topic. A good test to determine if your paragraphs are adequately developed is to do a visual scan of your paper; if you see 2 or 3 sentence-long paragraph, it is likely they are not fully developed and you will need to develop them a bit more fully. In my home state of Nebraska, the people are known for their love of sports. On game day, the Husker football stadium holds over eighty thousand fans and has the NCAA’s longest record of sellouts at 325. Every June, Omaha hosts the NCAA Men’s College World Series of Baseball. Baseball fans travel from all over the country for a chance to see their favorite college teams play. Omaha also has hosted the Olympic Swim Trials and the US Figure Skating Championship to large crowds. In addition, for the first time ever, Omaha will host the PGA Senior Golf Tour this year, with tickets sold out as soon as they were available. With the popularity of these major sporting events, Nebraskans are becoming known as the most devoted sports fans in the US. In the example above, the topic sentence, In my home state of Nebraska, the people are known for their love of sports, and the concluding sentence, With the popularity of these major sporting events, Nebraskans are becoming known as the most devoted sports fans in the US, work together to hold all of the details in between – or all of the hamburger between the bun. Notice, however, the concluding sentence does not indicate what is coming in the next paragraph. The concluding sentence works to wrap things up, but does not signpost what is coming next. Use a topic sentence in the following paragraph to indicate that paragraph’s main idea or topic. Structuring paragraphs is easy once you understand the basics building blocks. 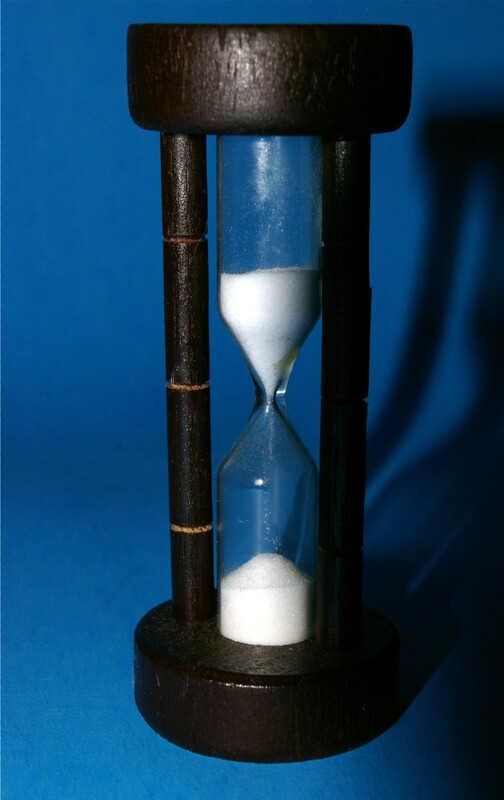 Keep in mind longer essays require longer paragraphs, just as shorter essays require shorter paragraphs. The most important thing to remember is to fully develop each paragraph so the reader isn’t left with any questions or a need for more information. You don’t want a hamburger with no meat, right?